February 5 is a public holiday in San Marino known as Liberation Day. It commemorates the anniversary of the liberation from the Alberoni occupation. It is also the feast day of Saint Agatha of Sicily, the patron saint of San Marino. 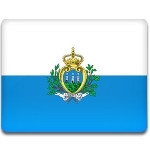 The independence of the Republic of San Marino was confirmed by Pope Urban VIII in 1631. The country has been occupied several times during its history, but the occupations did not last long. For instance, in 1739 Cardinal Giulio Alberoni, legate of Ravenna, decided to support certain rebels and used military force to occupy the republic. Albernoni imposed a new constitution and tried to force the citizens to submit to the government of the Papal States. However, the Sammarinese used civil disobedience to protest his orders. They also sent clandestine letters to Pope Clement XII to obtain justice. Eventually, the Pope confirmed the country's independence once again on February 5, 1740. Albernoni's actions displeased Clement XII, and he was replaced by another legate. Liberation Day in San Marino coincides with the feast of Saint Agatha, the country's patron saint. Agatha was born on Sicily in 231 AD and martyred due to persecution of Roman Emperor Trajan Decius circa 251 AD. In ancient times, she was one of the most highly-venerated virgin martyrs.